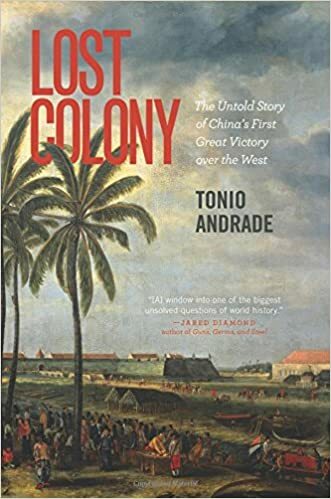 Tonio Andrade, one of the best historians currently teaching and writing about East Asia, is a history professor at Emory University (Atlanta) and the author of three outstanding works: How Taiwan Became Chinese (2008), Lost Colony (2011), and The Gunpowder Age (2016). Lost Colony examines the epic clash between Koxinga’s Chinese forces and the Dutch for mastery of Taiwan during the mid-1600s. 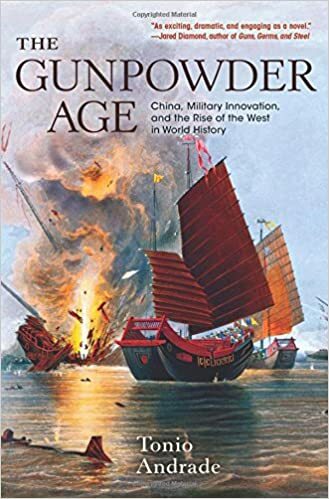 In The Gunpowder Age Andrade looks more deeply and broadly into China’s military development, and compares it with the rise of European military might. 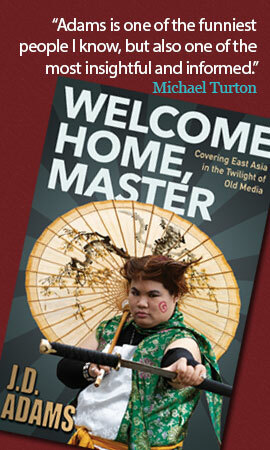 How did you first become interested in East Asia? When I was in college I thought I would be a scientist, and the summer after freshman year I was working in a laboratory, where I met a Chinese man named Long Sheng Yu. He was kind and very intelligent, and he told me about his experiences during the Cultural Revolution. This was enough to spark my interest, and I started studying Chinese the next summer. Your first book, How Taiwan Became Chinese: Dutch, Spanish, and Han Colonization in the Seventeenth Century was published by Columbia University Press. It’s available online for free on the Gutenberg website. How did this come about? The digital publication of How Taiwan Became Chinese was sponsored by the American Historical Association and the Mellon Foundation, who were pioneering new types of scholarly publishing. It was believed then (this was 2001) that printed books might not last the decade, and there was a perceived crisis in scholarly publishing. The solution was, they believed, to sponsor the publication of books online. My dissertation won one of the Gutenberg-Prizes, which provided a significant amount of funding to help convert the dissertation into a book and also came with a contract to publish the book with Columbia University Press. It was an exciting undertaking, and my fellow authors and I took part in workshops in New York City, in which we brainstormed about electronic publishing and its potential. There are many other Gutenberg E-Prize titles, which are all free. It’s worth browsing the site: http://www.gutenberg-e.org. Your Lost Colony, which is an absolute must-read for anyone interested in the history of Taiwan, gives the impression that the battle for Fort Zeelandia was a pretty close-run thing. I know historians generally dislike counterfactuals, but I can’t help but ask: What would have been the likely consequences of a Dutch victory? This is a fascinating question, and one that I have thought about quite a bit. I think if the Dutch had won the war, the Qing dynasty might never have incorporated Taiwan into their empire. The Qing leaders were not particularly concerned with the threat of the Dutch, and they weren’t particularly interested in Taiwan. Nor were the leaders of the previous, Ming, dynasty. But once the Dutch were defeated by Zheng Chenggong, and once Zheng and his heirs set up a base on Taiwan, a base that was oriented toward recapturing China from the Qing and reestablishing the Ming, the Qing began to see the island of Taiwan as a security threat that had to be dealt with. So in 1683, they sent admiral Shi Lang to defeat the Zheng family and drive them from Taiwan, which he did. Afterwards, however, the Kangxi Emperor was at first not interested in incorporating Taiwan into the empire. Gradually, Shi Lang and others convinced him to do so. It’s interesting to imagine what might’ve happened if Taiwan had stayed in Dutch hands past 1683. Would it have stayed a Dutch possession until the 20th Century, like large parts of Indonesia? History would have turned out very different indeed. When writing about the Dutch in Taiwan, we tend to use, as I just did, “the Dutch” rather than “the Dutch East India Company “ (or “the VOC”). The former, however, doesn’t quiet capture the multi-cultural and profit-driven nature of the colonists. What’s your take on this? Yes! That’s a very good point. One of the interesting things about researching the early history of Taiwan is how many peoples lived there and interacted with each other, especially in areas focused on overseas trade, such as Tainan. When the Dutch arrived, Chinese smugglers and traders and fishermen interacted with Japanese and local Austronesian headhunter peoples, trading and feuding, and those interactions continued right through the Dutch period. In general, maritime East Asia was a motley place, and the pirate bands that raged through the seas, which are often called Japanese pirate bands, or Wokou, were in fact made up of peoples of many ethnicities and nationalities. This makes the history of that time very interesting. How did the commercial aspect of the Dutch presence in Taiwan affect their investment in the colony’s defence and their determination to fight? What’s interesting is that the Dutch colony on Taiwan was, in the 1640s and early 1650s, one of the most profitable of the Dutch East India Company’s holdings, but by the mid-1650s, and especially moving into the late 1650s, it became less profitable. In part this was because the Zheng family organization was increasingly carrying out trade embargoes, and competition heated up. But in part it had to do with the changing pattern of trade, as more Chinese vessels sailed to the Dutch headquarters in Indonesia, and, even more importantly, as the wars in China altered trading patterns. In 1683, Shi Lang, the conqueror of Zheng Taiwan, actually communicated with the Dutch to see if they were interested in retaking Taiwan, but by then the Dutch weren’t so interested and were content to let the island go. They found they could make money trading in Canton and elsewhere. You refer to clashes in the 1660s as the Sino-Dutch War. Is this an established term, or perhaps one you’d like to see established? This is something I have thought a lot about. I do think that the moniker war is appropriate in this case. I think I may have been the first one – or one of the first at least – to use it, but it has now come into fairly common use. One of the most striking facts of the Dutch loss to Zheng Chenggong (Koxinga) is how readily the local aboriginal population sided with the invaders. It’s a rather telling indictment on the popularity of Dutch rule. Did this also surprise you? In fact this did not surprise me one bit. Nor is it, strictly speaking, entirely true. The indigenous towns and other political structures were, from the very beginning, fairly cavalier about switching sides. There was an odd sort of alliance system, with blocks of villages siding against other blocks of villages. When the Dutch arrived, they became the most powerful village, and as their alliance group became more numerous and powerful, it attracted more and more villagers. When Zheng Chenggong arrived, it became very clear that the once mighty Dutch now had a powerful enemy of their own, and villagers naturally sought out this new protector. But what’s interesting is that many Austronesians turned against Zheng Chenggong, whose troops suffered various defeats and massacres at their hands. In The Gunpowder Age you look at “the Great Divergence” in military technology between China and the West, placing it in the early 1700s (earlier for some things such as ships and fortresses) rather than around 1800 as some revisionists claim. I think you’re spot on. The revisionists would have us believe it was only the Industrial Revolution that gave the West the edge, which seems rather dismissive of the Scientific Revolution. Yes! I agree that science seems to be a core part of the Great Divergence. There’s still significant disagreement about the role science played in the economic divergence in the eighteenth and even into the nineteenth century, but it seems quite clear that science played a big role in the military divergence by the end of the eighteenth century. I’m a big fan of your narrative writing style, of making the reader want to keep reading to find out what happened next, and also your combination of personal and localised stories set within a big picture framework. How did this style come about? Ever since I was a child, I wanted to be a writer, so I have tendencies in that direction, but those tendencies were nurtured during my Ph.D. work. One of my dissertation advisors at Yale, Jonathan Spence, is a master prose stylist and believes that bringing the reader into the story is very important. He instilled in his readers a sense of emotional connection to his subjects, and that’s something that attracted me to him as an advisor and has inspired me in the years since. 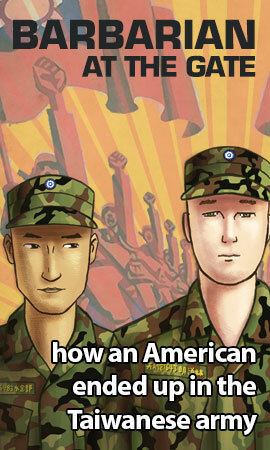 Your last two books were published by Princeton University Press. How has working with them been? Were they supportive of your slightly informal narrative writing style or did you need to fight editing suggestions to rein it in? My editors at Princeton have been very supportive. They, too, believe that scholars don’t just do research. Their job is also to communicate their findings to the public, ideally in the most accessible and enjoyable way possible. I’d like to ask some questions about the practicalities of an academic writing a book. How do you find the free time? Is there funding available? Can all the research materials you need be accessed online or through inter-library borrowing? How do you get assistance with foreign-language materials? These are questions not usually approached in interviews, but they’re great ones! One good thing about my university, Emory University, is that, as a research university, it sees its faculty as both teachers and scholars. It provides time for research and writing. To be sure, my teaching load can be intense – I tend to take teaching very seriously and have a tendency to take on many advisees – but I usually can find time during the semesters to keep up momentum on my research and writing. I don’t have much time for overseas trips, but I take advantage of those opportunities for research in libraries and archives. These days, however, you can access a staggering array of materials right at your computer. As for foreign language materials, it’s vital to learn the languages yourself, and I’ve taken pains to learn to read Chinese, Dutch, Spanish, French, German, and Portuguese, and of course Chinese opens up a lot of Japanese and especially Korean sources as well. I’ve had colleagues and students help me with Russian and Manchu materials. Learning languages is something I have really enjoyed doing, even if it’s a project that’s never fully complete. What are some underrepresented areas of East Asian studies which you think would be rewarding for writers or graduate students to explore? I think there’s so much more to do with Chinese sources in non-Sinophone areas where Chinese was used as a written language, especially Korea, Vietnam, and the Ryukyu Islands. I also think there are huge opportunities for projects based on sources in Tibetan, Manchu, and other written languages in Central Asia. Have you spent much time in Taiwan? I lived for two and a half years in Taiwan, in three separate trips, each time based in Taipei. I dearly love it there. 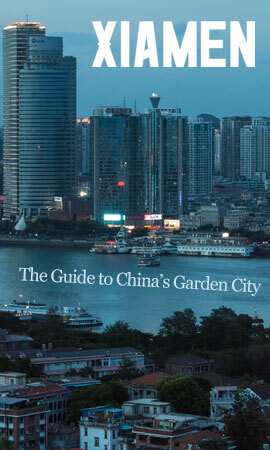 Do you have any recommendations for books on China or Taiwan? 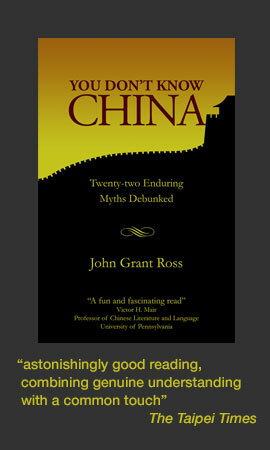 Any recommendations for comparative histories comparing the West and China? I think works in the New Qing History are very important: Mark Elliott’s work, and Pamela Crossley’s, and Evelyn Rawski’s, among others. Richard Smith’s new book on the Qing and Traditional Chinese Culture is fascinating so far. Peter Perdue’s work China Marches West is stunning and very important. There’s so much, and more being produced each year. But frankly, these days I’m learning the most from new dissertations. There are a lot of exciting up and coming scholars. Right now I’m nearly done rereading Anna Karenina, and a friend recently turned me on to Marcus Aurelius, which is perhaps what I’ll read next. I also love science fiction and graphic novels. What are some of your favorite fiction/non-fiction works? If by “works” I can include non-books, I’m really into The Expanse, a science fiction TV series that has a great narrative arc and excellent world-building. I found out recently that this passion is shared by some other historians of Asia, which I suppose shouldn’t surprise me. I also adore the Amazon superhero series The Tick. I’m writing a book about the last European delegation to be received according to the traditional practices of the Chinese court: a 1795 embassy to China carried out by a Dutchman named Isaac Titsingh, a Dutch-American named Andreus van Braam, and a large retinue of others, most importantly a bitter Frenchman named Chrétien-Louis-Joseph de Guignes. It’s been pretty neglected by historians, but it’s fascinating. I’m enjoying the eighteenth century, which is a period I’ve not spent much time in previously. Lost Colony and The Gunpowder Age are published by Princeton University Press, and are also available from Amazon.com and other retailers. You might be interested in reading Bookish Asia reviews of Andrade’s books: How Taiwan Became Chinese, Lost Colony and The Gunpowder Age.